I love it when the postman comes. He came today with a nice parcel from the folks at Brigade Models. I had decided to take advantage of the summer sale at Brigade (after having manfully resisted purchasing anything from them at Salute 2012) to top up my aeronef fleet. 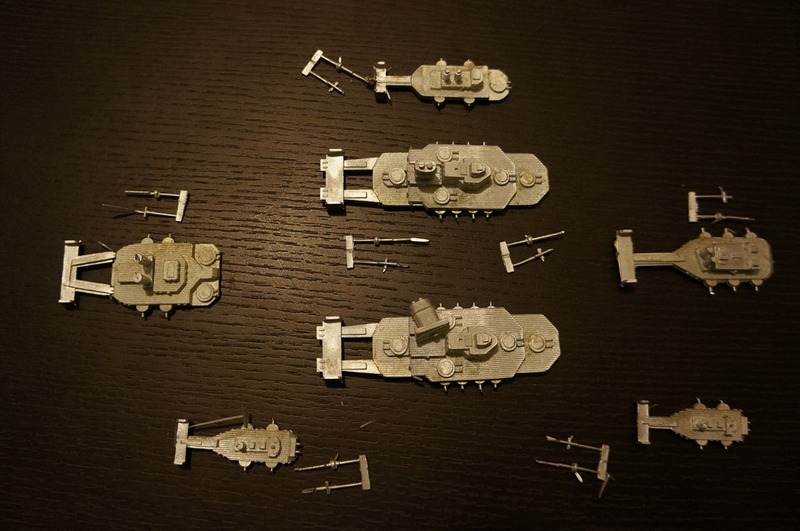 Over the last couple of years I have been building the necessary troops for my Peshawar collection. Whilst it is currently based around colonial English, French, German and Russian, I did think it was a good opportunity to introduce the Pacific powers. So I ordered some Japanese and American ‘nefs. Tonight I’ll deal with the Japanese. I was tempted by this pack for the fixed wing aircraft that would be carried by the Ryujo class carrier. 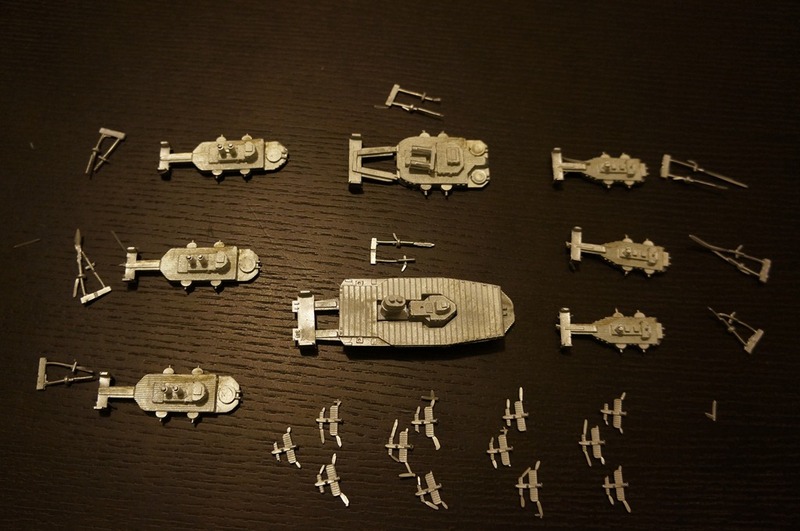 Not shown are the flying and fighter stands. Also included are a Play sheets CD and some Japanese naval ensigns.